The British ecologist A. J. Southward described the intertidal zone as "the region of the shore between the highest level washed by the waves and the lowest level uncovered by the tide,'' and thus communities on rocky intertidal shores are primarily defined by the tides and the presence of hard surfaces. The types of organisms, the number of species, and the distribution and abundance of individual species found in a particular rocky intertidal community also depend on the physical aspects of the shore, the supply of resources, food and larvae from overlying water, the biological interactions among the species present, and the regional pool of species. 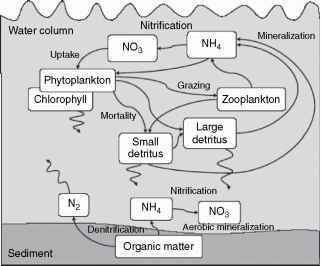 Although rocky intertidal shores cover only a small fraction of the Earth's surface, they contain a large diversity of organisms - ranging from highly productive microalgae to transient vertebrate predators (Figure 1). 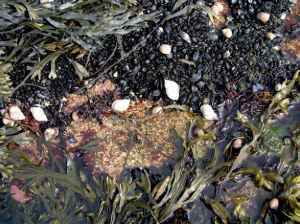 Figure 1 Closeup of predatory snails, mussels, barnacles, and brown algae in Maine, USA. Photo by P. S. Petraitis.